Expand search to view more listings in and around Syracuse. 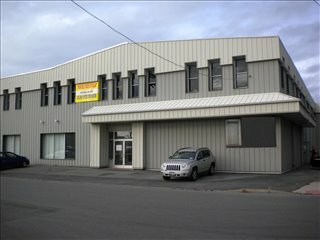 See more offices in and around Syracuse. To help you find the perfect location for your next Syracuse office, the Offices.net site allows you to quickly find and get the critical information about each one quickly and easily. We have a wide range of buildings and locations available, many with flexible lease requirements that can be altered to suit your needs. Syracuse has an economy that was historically based on industrial manufacturing; however its modern economy is based on the service industry. The city's revenue is heavily dependent on education service providers with the largest employer being the State University of New York Upatae Medical University. Other large companies which are based in the area include Wemans Food Markets, Magna International , Loretto and the Penn Traffic Company. The city is served by the Syracuse Hancock International Airport and has good links to several major Interstate highways. Syracuse is an excellent location for new or relocated offices. Our mission is to help your business find the perfect work environment, arrange a rental agreement that suits you, and get you into your new offices as quickly and smoothly as possible. There are a wide range of office types, from conventional space to serviced offices to work space in shared offices to fixed desks and office suites for teams and the largest organizations. We would be happy to help you navigate the options and find the office that is best for you. Each office on this site has an individual page, which lists many of the features offered by each building. Click on any of the offices to find out more info, and if anything you need isn't immediately obvious please feel free to contact us and ask. Simply pick any of the offices to rent in Syracuse displayed above. Every one of the offices boasts an ideal business position in Syracuse, with flexible rental terms to suit your office space needs. We also have executive office suites, short-term and flexible office space for rent in other cities throughout New York. Get in touch and we will do everything we can to help you find the ideal office space.